Sometimes when it comes to indie film darlings it’s difficult to see what all the fuss was about. With The Overnight that’s not too much of an issue, as while it might not quite deserve some of the raves it received following its first festival screenings, it’s still a good movie. Alex (Adam Scott) and Emily (Taylor Schilling) are a 30-something couple with a kid, who are newly arrived in California. It’s not been an easy move, with stay-at-home dad Alex feeling slightly dislocated and friendless. He randomly meets Kurt (Jason Schwartzman) in the park, who invites Alex and Emily over to his house for the evening. You may never have heard of Krampus, but in some traditions he is essentially the anti-Santa Claus, a slightly demonic figure who punishes bad children while Santa rewards the good. Now he’s getting his own movie, which will be coming to creep us out (and hopefully make us laugh) at the end of the year. Here’s the synopsis: ‘Legendary Pictures’ Krampus, a darkly festive tale of a yuletide ghoul, reveals an irreverently twisted side to the holiday. ‘When his dysfunctional family clashes over the holidays, young Max (Emjay Anthony) is disillusioned and turns his back on Christmas. Little does he know, this lack of festive spirit has unleashed the wrath of Krampus: a demonic force of ancient evil intent on punishing non-believers. ‘All hell breaks loose as beloved holiday icons take on a monstrous life of their own, laying siege to the fractured family’s home and forcing them to fight for each other if they hope to survive. Three-time Oscar nominee Johnny Depp (“Sweeney Todd: The Demon Barber of Fleet Street,” “Finding Neverland,” the “Pirates of the Caribbean” films) stars as notorious mobster James “Whitey” Bulger in the drama “Black Mass,” directed by Scott Cooper (“Crazy Heart”). The film also stars Joel Edgerton (“The Great Gatsby,” “Zero Dark Thirty”) as FBI Agent John Connolly; Oscar nominee Benedict Cumberbatch (“The Imitation Game”) as Whitey’s brother, powerful State Senator Billy Bulger; Rory Cochrane (“Argo”) as Steve Flemmi, Whitey’s closest partner in crime; Jesse Plemons (TV’s “Fargo”) as Whitey’s main henchman, Kevin Weeks; and Kevin Bacon (“Crazy, Stupid, Love.” TV’s “The Following”) as FBI Special Agent in Charge Charles McGuire. In 1970s South Boston, FBI Agent John Connolly (Edgerton) persuades Irish mobster Jimmy Bulger (Depp) to collaborate with the FBI in order to eliminate their common enemy: the Italian mob. The drama tells the story of this unholy alliance, which spiraled out of control, allowing Whitey to evade law enforcement while consolidating his power and becoming one of the most ruthless and dangerous gangsters in Boston history. Synopsis: Black Mass stars Oscar® nominee Johnny Depp (“Public Enemies”, “Donnie Brasco”, the “Pirates of the Caribbean” films) as Whitey Bulger and Joel Edgerton (“The Great Gatsby,” “Zero Dark Thirty”) as FBI Agent John Connolly. Filming began in Boston under the direction of Scott Cooper (“Out of the Furnace,” “Crazy Heart”). #The film also stars Benedict Cumberbatch (“Twelve Years a Slave”) as Whitey’s brother, Billy Bulger, who is a Massachusetts State Senator; Jesse Plemons (AMC’s “Breaking Bad”) as Whitey’s longtime partner in crime, Kevin Weeks; Dakota Johnson (“Fifty Shades of Grey”) as Lindsey Cyr, Whitey’s former girlfriend and mother of his only child; Rory Cochrane (“Argo”) as Steve Flemmi, another member of the Irish mob; Julianne Nicholson (“August: Osage County”) as John Connolly’s wife, Marianne; and Adam Scott (ABC’s “Parks and Recreation”) as FBI Agent Robert Fitzpatrick. Rounding out the main cast are David Harbour (“End of Watch”), Jeremy Strong (“Zero Dark Thirty”), Brad Carter (HBO’s “True Detective”), W. Earl Brown (“Draft Day”) and Corey Stoll (“The Bourne Legacy”). Hot Tub Time Machine 2 is making an early bid for least called for sequel of 2015 (no one really wanted the first film all that much), but on the evidence of this trailer, it may actually be better than the first film. While the first film took the characters back to the 80s in the titular hot tub time machine, this time they’ll be going to the future. As this allows them to know about the future, it means they were able to change their lives – not always for the better. They also meet Adam Scott’s Adam, who’s the son of John Cusack’s character. Benedict Cumberbatch is the new Guy Pearce, or at least he is in Black Mass, as THR reports that he’s taking over from the Aussie actor in the Whitey Bulger biopic. He will play Whitey Bulger’s brother Billy, the former President of the Massachusetts State Senate. James ‘Whitey’ Bulger (Johnny Depp) was a Boston criminal who ended up becoming an FBI informant, with the help of his longtime friend and FBI agent John Connolly (Joel Edgerton) and his brother (Cumberbatch). However Whitey didn’t completely turn good guy, as his tips to the feds were mainly about getting rid of his mob competition. When Connolly tipped Bulger off that the feds were planning on double-crossing him, the criminal went into hiding for more than a decade, rising to the top of the FBI’s Most Wanted list before he was eventually caught in 2011 while hiding out in Santa Monica, California. Billy was never implicated in Whitey’s criminal activities, but his political opponents inevitably tried to use his brother’s reputation against him. Cumberbatch is a bit of a last-minute replacement as shooting is currently under way in Boston. There’s a sense that Hollywood thinks it’s only a matter of time until Parks and Recreation star Adam Scott breaks it big in the movies, and with some great notices from festival screenings, perhaps A.C.O.D. is the film to do it. He plays Carter, a seemingly well-adjusted Adult Child of Divorce (the A.C.O.D. of the title). Having survived the madness of his parents’ divorce, Carter now has a successful career and supportive girlfriend. But when his younger brother gets engaged, Carter is forced to reunite his bitterly divorced parents and their new spouses for the wedding, causing the chaos of his childhood to return, including his wacky therapist. The great cast also includes Richard Jenkins, Catherine O’Hara, Amy Poehler, Clark Duke, Jessica Alba, Mary Elizabeth Winstead and Jane Lynch. It’ll be out later this year. ACTORS: Adam Scott, Richard Jenkins, Catherine O’Hara, Amy Poehler, Clark Duke, jessica Alba, Mary Elizabeth Winstead, Jane Lynch FILMS: A.C.O.D. 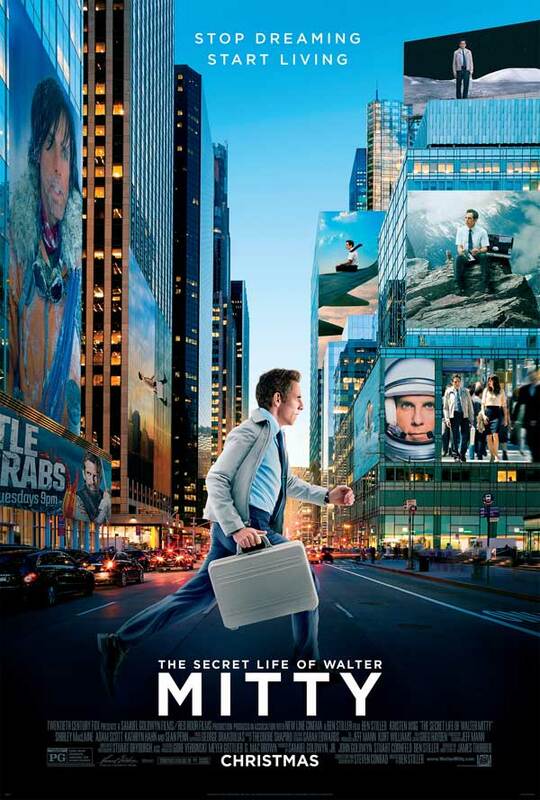 After it had been in development for years, it’s fair to say that no one was holding out too much hope for The Secret Life Of Walter Mitty. 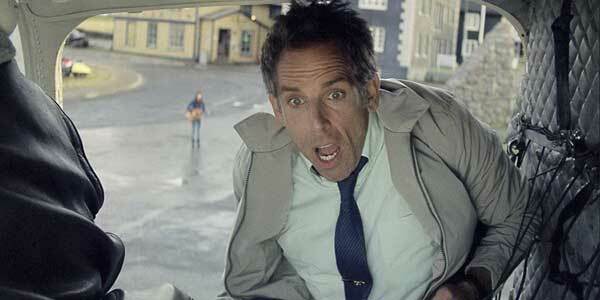 However it finally went into production with Ben Stiller directing and starring. Then a few weeks ago the interest went through the roof when a lucky few were treated to a few scenes from the movie, which met a truly rapturous response and even had people talking about Oscars. Now we can get a look ourselves with the first trailer, which does look absolutely gorgeous. For a while now a sequel to Hot Tub Time Machine has been in the works, but it’s now been revealed that John Cusack definitely won’t be returning, Instead TheWrap reports that Parks and Recreation’s Adam Scott is in talks to take the lead in Hot Tub Time Machine 2. However, he won’t be playing the same character Cusack played in the first movie. Craig Robinson, Rob Corddry and Clark Duke are all finalizing deals to reprise their roles in the comedy sequel, with Steve Pink returning to direct. It isn’t clear who will provide the screenplay, but earlier reports suggested Steve Pink and Rob Corddry could provide the script. Hot Tub Time Machine followed four friends who are transported back to one fateful night during their teenage years in 1986. The comedy grossed over $50 million in the United States, and became a hit on Blu-ray and DVD as well. No production schedule has been confirmed, but Craig Robinson revealed in March that they plan to shoot this summer.